Einer der bekanntesten linken Widerstandskämpfer*innen der 60er Jahre in Brasilien. Carlos Marighella war Staatsfeind Nummer eins der brasilianischen Militärdiktatur. Der kommunistische Anführer wurde Opfer des Gefängnisses und der Folter, war Autor des weltweit übersetzten „Handbuchs der Stadtguerilla” – Sein Leben war ein Akt des Mutes und Widerstands. Seine Nichte Isa Grinspum Ferraz porträtiert mit dieser Dokumentation Marighellas Leben, das er dem Widerstand gegen die brasilianische Militärdiktatur widmete. 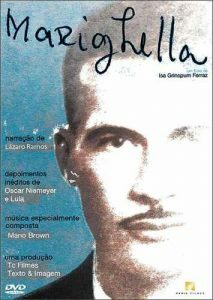 Carlos Marighella (5 December 1911 – 4 November 1969) was a Brazilian Revolutionary and writer. Carlos Marighella was one of the leading figures of the armed resistance against the military dictatorship that ruled Brazil from 1964 to 1985. He was co-founder of the Ação Libertadora Nacional (ALN), which became the largest and most important organization of armed resistance in Brazil. 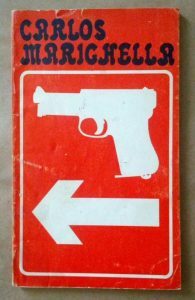 Marighella’s most famous contribution to guerrilla literature was the Minimanual of the Urban Guerilla (Handbuch des Stadtguerillos), consisting of advice on how to disrupt and overthrow an authoritarian regime aiming at revolution. The theories laid out in both books have greatly influenced contemporary ideological activism. Unlike Che Guevara, who proposed guerrilla activity in the countryside, Marighela’s theories on urban guerrilla warfare envisaged cities as the source of rebellion. As an advocate of urban guerilla warfare as means to neutralize and defeat political institutions in order to effect radical social change, Marighella’s work was the latest tome in the small library of revolutionary political literature in the 20th century. The Minimanual was influencing revolutionaries around the world, including organizations like the Weatherunderground, Greek N17, the Red Army Faction (RAF) or Red Brigades. Documentário sobre a vida e o legado de Carlos Marighella. Líder comunista, vítima de prisões e tortura, parlamentar, autor do mundialmente traduzido “Manual do Guerrilheiro Urbano”, Carlos Marighella atuou nos principais acontecimentos políticos do Brasil entre os anos 1930 e 1969, e foi considerado o inimigo número 1 da ditadura militar brasileira. Mas quem foi esse homem, mulato baiano, poeta, sedutor, amante de samba, praia e futebol, cujo nome foi por décadas impublicável? O filme, dirigido por sua sobrinha, é uma construção histórica e afetiva desse homem que dedicou sua vida a pensar o Brasil e a transformá-lo através de sua ação. Um dos nomes da militancia de esquerda no Brasil dos anos 60, Carlos Marighella atuou nos principais acontecimentos politicos do Brasil entre os anos 1930 e 1969 e foi considerado inimigo da ditadura militar brasileira. Lider comunista, vitima de prisoes e tortura, parlamentar e autor do ‘Manual do Guerrilheiro Urbano’. Dirigido por sua sobrinha Isa Grinspum Ferraz, ‘Marighella’ busca ser uma construcao historica e afetiva desse homem que dedicou sua vida a pensar o Brasil e a transforma-lo atraves de sua acao. This entry was posted in programme by newyorck. Bookmark the permalink.